My teacher once said, “Some people feel better after they have prayed and some pray after they feel better. Both are aiming for the same target, but the latter option will leave you feeling utterly lost.” He was absolutely right. If you are someone who is waiting to ‘feel better first’, I humbly urge you to pray so that you start feeling better fast. There is a variety of reasons why some people stop praying. For example, sometimes it’s difficult to balance work and other aspects of life, sometimes it’s difficult to deal with feelings of depression and disappointment especially when we have prayed for something and we think that it hasn’t been answered. So the first thing we do is lose hope and the desire to stand in the prayer. So, to be able to deal with our problem, we need to understand our own selves and ask ourselves why exactly we’re not praying, and then the solution will be clear. Maybe we have the wrong understanding/attitude towards prayer. We think it’s a burden, while actually, it’s a relief, we think it’s taking up our time, while actually, it’s putting Barakah in our time, we think we prayed for something and didn’t get it, while actually, it was the reason why we continued to get many more blessings in our health and our families and our well-being without even asking for that… and Allah knows us best. So what can be done to help overcome negative attitude towards prayer? Here are some tips. We are driven by short-term rewards. If the prayer we make doesn’t reap fruits right away, we turn away. This is a very negative attitude. Any successful person would try and try until he/she reaches their goal, and not simply quit after few attempts. Failure to be consistent or giving up wastes great opportunities. So, if you pray and “don’t feel it”, or you make dua in prayer and doesn’t get answered, then adjust your perception. If you attend one class and you didn’t understand, do you quit school/university entirely? Do you wait for the understanding to come to you, or do you actually put effort and ask the right people and keep trying until you succeed? The answer is clear. And if you make dua and doesn’t get answered and this is why you project anger or lose hope in prayer… then know that Allah has already answered you and rewarded you for making dua, even if you don’t see a tangible/materialistic outcome. Understand that we don’t have the eye to look far ahead into future. Since we don’t have knowledge of the unseen, we might not understand why something goes contrary to our wishes. And our wishes aren’t necessarily the best things for us. Accept that Allah is The One in charge of everything that happens in the entire universe. And imagining His power and control makes one feel confident that He can always fulfill what is best for you. 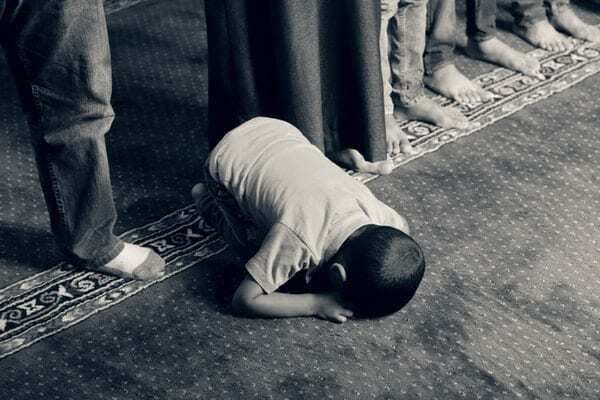 You need to turn back and reconcile with Him, there is no success away from Him… so leaving the prayer isn’t a solution in any way, shape or form. Allah is the best of planners. There’s a completely flawless roadmap designed just for you from the start. Our part is to trust Him and do what is required. The outcome is never in anyone’s hands but the intention is, the effort is, and of course, making dua regularly as well. Rest assured, even if the outcome doesn’t turn out to be the one you had desired for, it will still be a source of peace and comfort because you had entrusted Allah with all your affairs. The Most-High can bless you abundantly right away or withhold temporarily and reward you in some other form and some other time. He alone knows what’s best for you. Just trust Him and His timings. So be fervent in asking Allah again and again. Making dua should be a daily routine and not a result of some momentarily pressing need. If you feel withdrawn, ask Allah to enlighten your heart and enable you to navigate through negative thoughts that don’t let you kneel down and reconnect with Allah . There is an unimaginable number of angels in the universe doing nothing else but standing in prayer glorifying the Most-High, Allah . It is us who need Him all the time. So humble yourself and don’t let Shaytan trick you into believing that you can make it on your own. Because you can’t. You need Allah more than you need anything and anyone else in this world. So don’t cut the blessings in your life be cutting payer. When we feel lonely, what we actually want is someone trustworthy, sincere and wise to be by our side, but mostly what we do is confine ourselves behind closed doors and choose not to meet with anyone. When you alienate yourself from others, in the first place, it substantiates what your mind is already feeling. You are lonely. You need company and that’s exactly what you end up avoiding unconsciously. By the same token, when you don’t feel like praying, it is exactly when you need to force yourself to pray. Shaytan wants you to stay disconnected from salah as long as possible and he showers whispers immensely into your chest as reasons and excuses for not praying. It is up to you to identify your enemy and wipe clean your heart or let the confusion brew inside. Your company plays a vital role in your life. Good friends invite you to do good and forbid you from that which is bad. They will highlight your shortcomings and help you let go of any bad habits keeping you from getting closer to Allah . Keeping good company creates a positive attitude towards life, letting go of the ill feelings harboring in your heart. So make an effort to join the company of those who establish salah in their lives and follow the footsteps of our beloved Prophet . If we are being tested, or there’s a delay in having our prayers answered, it is an indication that Allah wants to cleanse our sins and/or elevate our status provided we stay patient. We must remember that any problem or difficulty should never withhold us from prayer, rather difficulties should drive us to pray more earnestly. “The first of man’s deeds for which he will be called to account on the Day of Resurrection will be Salat (prayer). If it is found to be perfect, he will be safe and successful; but if it is incomplete, he will be unfortunate and a loser. If any shortcoming is found in the obligatory Salat, the Glorious and Exalted Rubb will command to see whether His slave has offered any voluntary Salat so that the obligatory Salat may be made up by it. Then the rest of his actions will be treated in the same manner.” [At- Tirmidhi]. So, no matter what goes on in your life, pray! Perhaps many days, weeks or months will pass by and at times prayers would feel like exercise. Continue anyway. Peace and serenity will follow, if you pray mindfully, focused on the Creator. He will respond, He always does…Hold on to that faith and let it resonate in your life that no one and nothing can ever deter you from gaining nearness to your and my Creator, Allah, the Most-High, The Exalted. What are your tips to remain consistent in prayer? share with us in the comments.